Heat oil in a saucepan over medium-high heat. Add onion, garlic and ginger and cook, stirring for 5 minutes, or until onions are softened. Add curry powder and stir well. 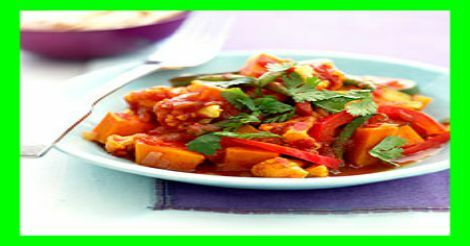 Add pumpkin, cauliflower, zucchini, capsicum, beans, tomato, stock and half of coriander. Season to taste with salt and pepper. Bring to the boil, then reduce heat to low and simmer for 45 minutes, or until all vegetables are tender. Serve into bowls and sprinkle with remaining coriander. Serve with: boiled brown rice. Add 3 ProPoints values per 1/2 cup.